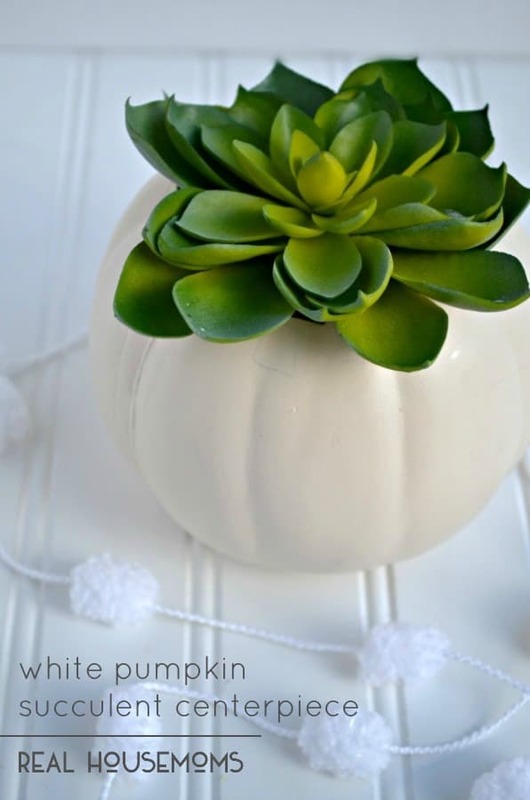 This time of the year I see all these adorable faux pumpkins at Target and the craft stores and I just want to USE them somehow, but HOW!? Today I picked up a $5 cream pumpkin from Target and got to work. 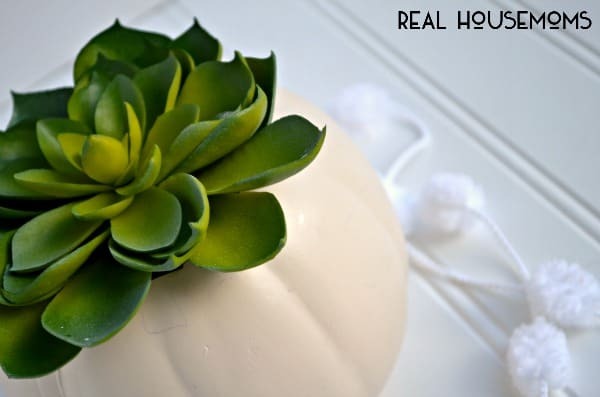 I had a little faux succulent on hand, so I decided to make this cute little White Pumpkin Succulent Centerpiece! 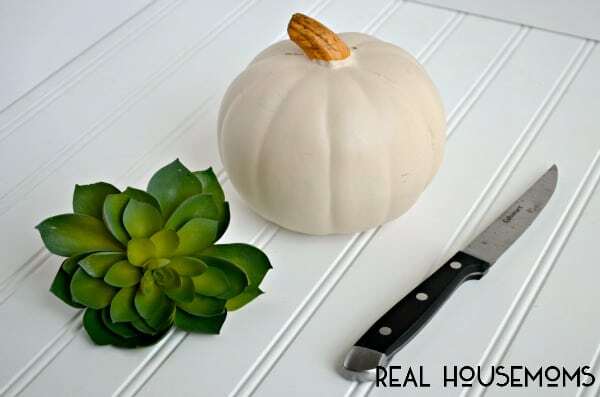 Just think, you could cluster these on your table at Thanksgiving, intermingling some flowers in the pumpkins and succulents in others…or you could place one pumpkin on each plate for your guests for Thanksgiving! Lots of possibilities! 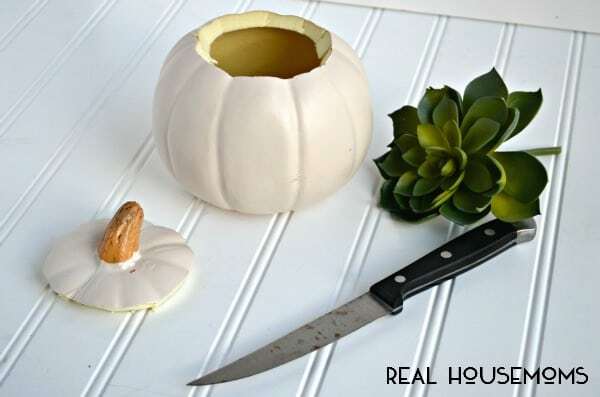 And so easy to make…..
Start by cutting a small hole at the top of your pumpkin like you normally would for a regular pumpkin. Set the lid aside in case you want it later. 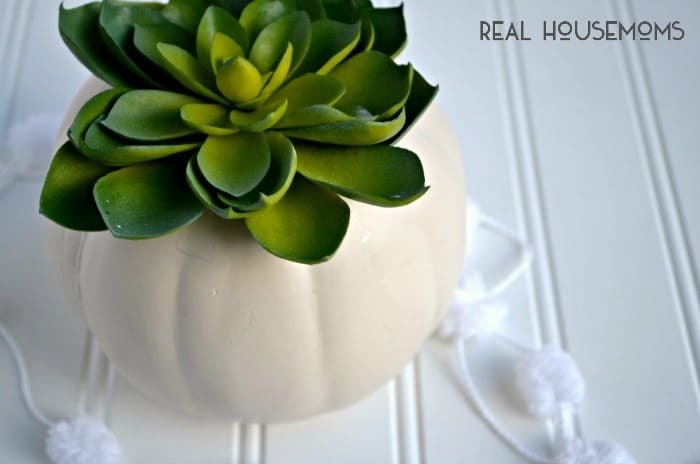 Hope this was a fun and simple craft inspiration idea for you guys! Have a good fall!